With the latest expansion of Eve Online called “Into the Abyss” a new type of PVE experience is introduced, called “Abyssal deadspace“. Abyssal deadpsace is a new kind of solo PVE site designed to be very challenging, but also offers new and unique rewards for players that manage to complete these new sites. One of those new and unique rewards include Mutaplasmids. Mutaplasmids are new items that transform ordinary modules into Abyssal modules. A transformed module has a small chance to have dramatically better stats and a high chance to have significantly worse stats. Transformed modules with dramatically better stats will be very valuable and can be used by the player or sold on the market for a potentially very high price. Mutaplasmids themselves come in three categories and can be traded on the item market. Are Mutaplasmids similar to loot boxes? Mutaplasmids drop as random loot in the new PVE sites only and can not be bought directly from CCP (e.g. in the NES). However, its safe to assume that many players will sell their Mutaplasmids on the in-game market instead of consuming them their selves (same as deadspace modules today are farmed and sold on the in-game market). Thus there most likely will be a sufficient supply of Mutaplasmids on the market for other players to buy. Mutaplasmids can be bought with the in-game currency ISK on the in-game market and ISK can be bought with real money (through PLEX). This is similar to buying first buying “gold coins” with real money and in other games and then buying the loot box with gold coins. 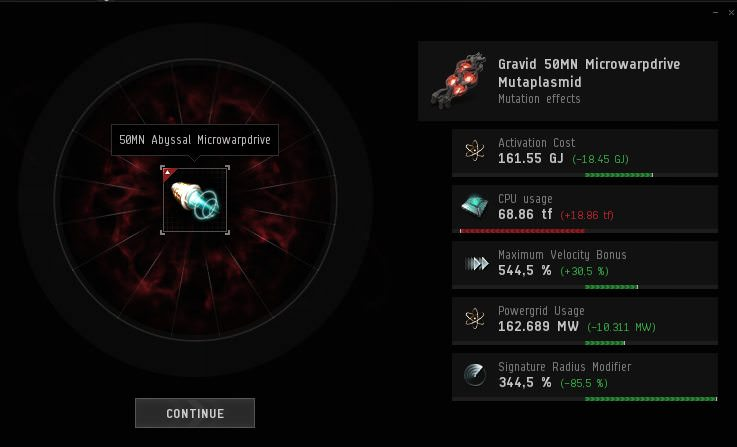 The process of applying the mutaplasmid to receive an Abyssal module is solely based on chance and does not require any skill. The process has a low chance of producing an item of very high value (e.g. > 1B ISK) and a high chance of producing an item of small value. This is similar to loot boxes, where only very few contain high value items. The process can be repeated over and over again, just by buying more mutaplasmids and standard mods from the in-game market. This is similar to opening multiple loot boxes in a row. What are the risks of loot boxes for CCP? Loot boxes are a hot and controversial topic in the gaming industry at the moment. Many consider them as gambling, while publishers argue that they are not. Nonetheless government agencies all over the world have started to investigate this topic. Their concern is that loot boxes might be just as potentially harmful as classic gambling (e.g. slot machines) and that they might therefore violate gambling laws. The authorities in the Netherlands have already concluded that loot box mechanics of four popular AAA game violate the gambling law and are requesting the published to change their games or be banned from the market. Authorities in Belgium have gone one step further and recommend criminal charges against the publishers of many well known AAA games, which contain loot box mechanics. CCP is potentially facing investigations and criminal charges from government authorities for violating gambling laws. Local authorities might ban Eve Online if it refuses to make requested changes or to acquire required gambling licenses. The fact that Eve Online is rated as PG-13 exposed the gambling mechanic potentially to minors. This further increases the legal risk and potential fines if found guilty. E.g. the fines and jail sentences for violating gambling laws are doubled if minors are involved. Why is CCP doing this? It is well known in the gaming industry that loot box mechanics create additional revenue in games. Research companies like Juniper Research predict the games market to grow in the next years largely due to “increasing prevalence of loot boxes”. Those additional revenues typically comes from a small amount of wealthy players (often called “whales”) that get addicted to opening loot boxes and spend a significant amount of real money in the process. So CCP is apparently trying to create an additional income source for their “cash cow” Eve Online. In addition they are also concerns by many in the community that Abyssal modules could have very negative consequences for the current game balance, by extending existing extremes (e.g. speed and point range of a Garmur) resulting in completely overpowered ships for people than can afford it. Why CCP has decided to introduce a loot box mechanic into their game despite the known risks and at a time when the gaming industry appears to be moving away from loot boxes due to its controversial nature, one can only speculate. What action could CCP take? The safest action for CCP would obviously be to remove the mutaplasmids mechanic from the game altogether. However, there might be an alternative that would allow CCP to keep the mechanic in the game while also mostly eliminating the potentially problematic aspects mutaplasmids. CCP could remove the ability to trade mutaplasmids to other players. Thus it would no longer be possible to just sit in a trading hub and just buy and gamble with Mutaplasmids. Instead a player would need to successfully run the Abyssal Deadspace sites successfully themselves to get a mutaplasmid. Q. Many mechanics in Eve include a randomness (e.g. loot drop), so based on the logic of this article everything in Eve would be a loot box. A. No. Eve Online at its core a game of skill and most game mechanics require skill at playing the game to be successful (e.g. you need to complete a PVE site to get that loot drop). That is very different from someone just sitting in a trade hub and buying mutaplasmids all day to role Abyssal mods. That does not require any skill, just ISK. Q. Its similar to T2 invention, which also is based on RNG. if it works you always get the same result, e.g. an BPC with the same stats as apposed to an Abyssal mod, which will have different stats every time. T2 invention is not random at all, instead the process has a fixed success probability. If you have done T2 invention you know that this basically just adds costs to the process, because you have to run more than X inventions to get X BPCs. A. Its true that you need to convert your real money into ISK first. But that is no different from other games that require you to first buy “gold coins”, which then allows you to buy loot boxes. Q. Its not a loot box, because you don’t buy mutaplasmids directly from CCP, but from other players. A. Actually, the market mechanics and all game items are 100% owned by CCP, so technically you always buy from CCP. But even if you were not, it does not really make any difference for the gambler if he buys his supply directly from CCP or through a market that is provided and enabled by CCP. It is the mechanic that enables the gambling (mutaplasmids) that is problematic in my opinion. …You’ve never played EVE Online or have any idea how it’s economy works, do you? These aren’t loot boxes. Christ almighty. You are are wrong on both account. And I never said they were loot boxes in a literal sense. But in my view the mechanics works similar and might therefore be just as problematic as loot boxes. 1: You are very wrong. $ becomes Plex. 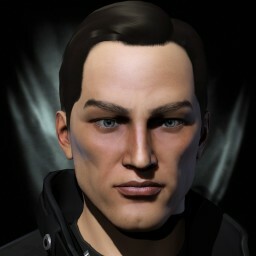 Plex becomes Isk. Isk becomes plasmids. Anything that can be sold, can be bought for real money through $~>Plex~>Isk conversion. The seller might not get real money, but the buyer paid with real money. 2: SOMEONE has to pve farm them. the buyer does not. the buyer pays his money and pulls the lever. He may win, he may not. Thus it is a gamble. Your negativity suggests to me that you and the game playing public would be better off once you GTFO. Your comment suggest to me that you are the kind of person that does not tolerate any dissenting opinion. Good luck to you in your echo chamber. Pretty clear the the author either doesn’t play the game or is extremely bias considering variations of lootboxes have existed for years and this is just another iteration of them. RNG loot boxes literally already exist. You are wrong on your first account. I actually play the game a lot (which you can easily derive from all the blog articles about Eve). But yes, I think loot boxes are problematic in games and there especially have no place in a game like Eve Online. You may call it “biased”, I call it an opinion, which btw. more and more people in the gaming industry seam to share. e.g. the new Battlefield 5 is advertising its new game by saying they do not have loot boxes. well, it WOULD be a real problem if those “loot boxes” changed anything when it’s not, let me explain. first, a great difference between “loot boxes” and mutaplasmid is that a loot box does not need any material where mutaplasmid do. So if ppl “sit all day to roll” then the consumption of base line object will rise, therefore allowing the industry to bloom. Second, another difference is that mutaplasmid only change the stat of the object, not the ability of the owner to use it properly. I agree with you on the “EvE is skill based” but personnally what I think is that it’s a PLAYER”s skill based game. Skills in game never have been the true limitation, since you can buy characters on the bazaar, you always can buy the pilot you need, or inject what you need, buy all the best equipment in the world and get blown up by a vet who know what he is doing. Yes you can buy isk for $ but you have been able to do so since years, so people with money to spend on it already do so. “At worst” it will allow ppl to get more money, but money is already broken, a B isn’t much now, you can gather one in a matter of hours. To summarize, I’m clearly not sure that it will impact the game much. I agree with most of your points and when I say “eve is skill based” I indeed mean player skill as in playing the game, not characters skill. You points are mainly about the impact of Abyssal mods on balance and the game meta, whereas my article is mainly about how the new Mutaplasmid mechanic has similar characteristics and consequently the same potential problems as loot boxes. Regarding the impact on game meta and balance I think its has mainly negative effects. Everything which is OP today will be enhanced (w.g. the Garmur becomes even faster and can point even further, a super tanky Loki becomes even harder to kill), which will be a huge challenge for balance. Also, if Abyssal mods become prevalent (which I think is likely) it will become mandatory for any elite PVP group to use Abyssal mods in order to stay competitive, even in fleets. (e.g. your fleet Lachesis will need an Abyssal point for that extra range). This makes an already very complex fitting system even more complex, but with the twist that they wont be any definite fits anymore. Instead of “get mod x” for your fit, it will be “get an Abyssal mod which has at least property x, y, z”). So the fitting system will become even more complex and harder to understand and master, which is not a good thing for the game. Of course I am assuming that Abyssal mods will become prevalent in Eve. My hope in the beginning was, that they will be niche like officer mods. But if you look at the current Abyssal mod market in Jita just a few days after release and the relatively low prices for mods with excellent stats it does not look like it. I think there is not enough time to determine if it’s going to be a thing or not. When you see the loss, I think that AD will become less “farmed” in the future. therefore decrease the mutaplasmid inflow. And once again, all systems, when scaled up, need to remain simple. When you have 2000 players fighting with standardised doctrine, you can’t rely on a random thing.